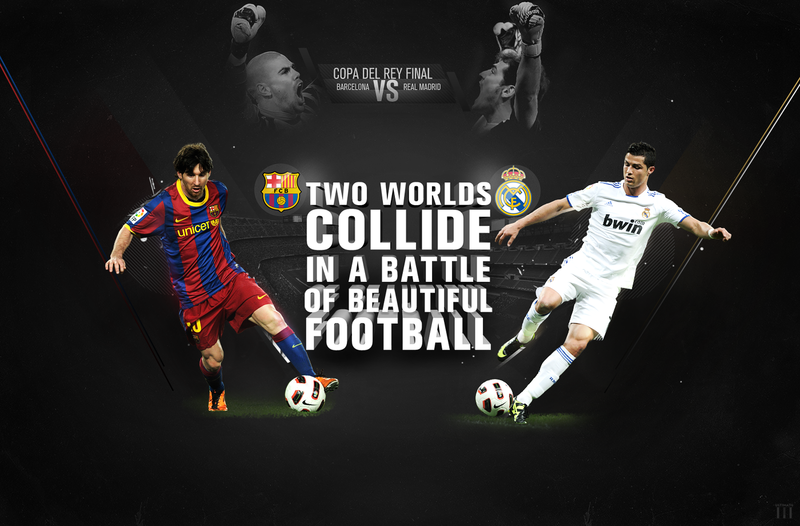 El Clásico is the name given in football to any match between fierce rivals Real Madrid C.F. and F.C. Barcelona. Originally it referred only to those competitions held in the Spanish championship, but nowadays the term has been generalized, and tends to include every single match between the two clubs: UEFA Champions League, Copa del Rey, etc. Other than the UEFA Champions League Final, it is the biggest football club game in the world, and is among the most viewed annual sports events. The rivalry comes about as Madrid and Barcelona are the two largest cities in Spain, and they are sometimes identified with opposing political positions, with Real Madrid viewed as representing Spanish nationalism and Barcelona viewed as representing Catalan nationalism. The rivalry is regarded as one of the biggest in world sport. The two clubs are among the richest and most successful football clubs in the world; in 2014 they were ranked the world’s two most valuable sports teams. Both clubs have a global fanbase; they are the world’s two most followed sports teams on social media. Real Madrid leads the head to head results in competitive matches with 92 wins to Barcelona’s 90, while Barcelona leads in total matches with 109 wins to Real Madrid’s 96. Along with Athletic Bilbao, they are the only clubs in La Liga to have never been relegated.